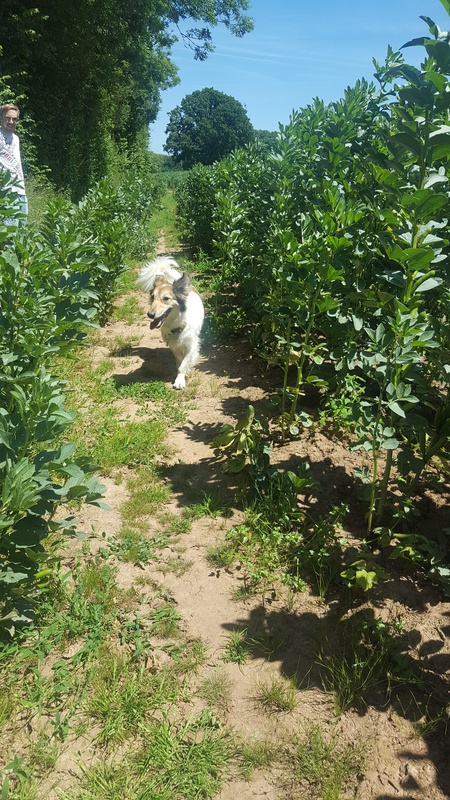 Yea we celebrate Lunas birthday , I don’t care that she’s a dog and some people might think we’re crazy but she’s our fur baby and it’s all abit of fun! 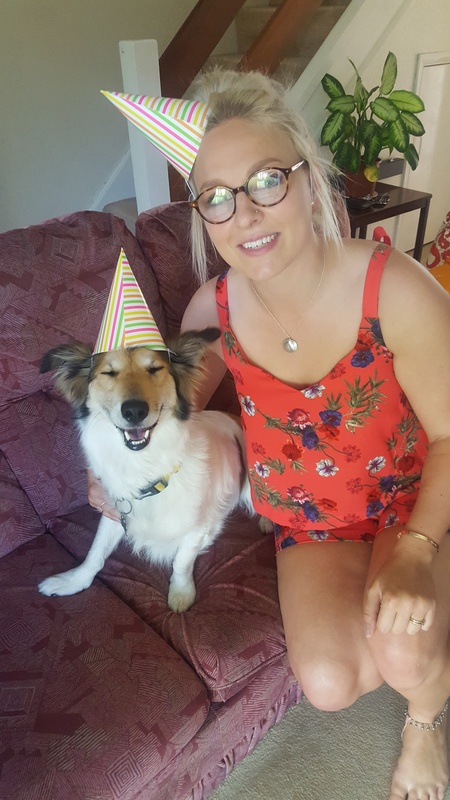 Check out the party hats….. 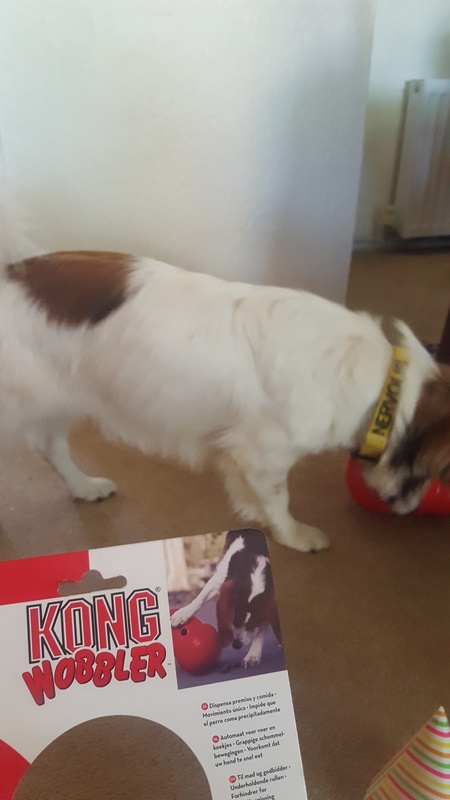 Her birthday was a perfect excuse to try out a new puzzle feeder from Kong to help extend meal times and give her a little mental exercise too. £18 for the Kong Wobbler I thought yea it’s a little pricey for a fancy dog bowl but we’re guna get our money’s worth from it. 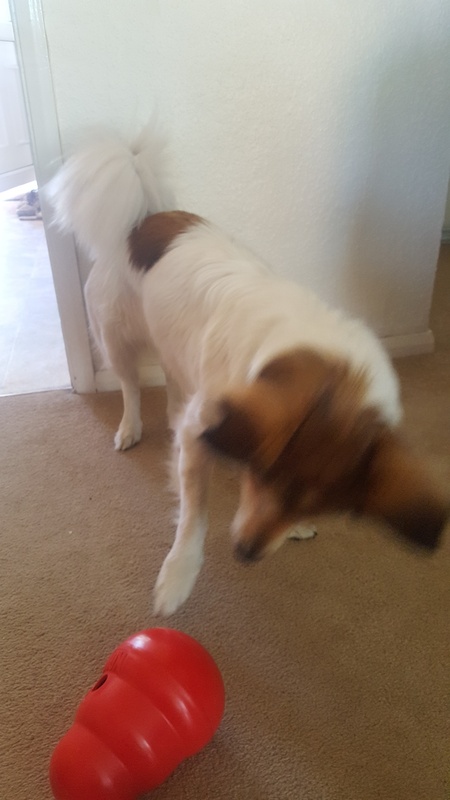 You unscrew the bottom bit and fill the top bit with food then screw the base back on and the dog has to paw it around to get the treats out. 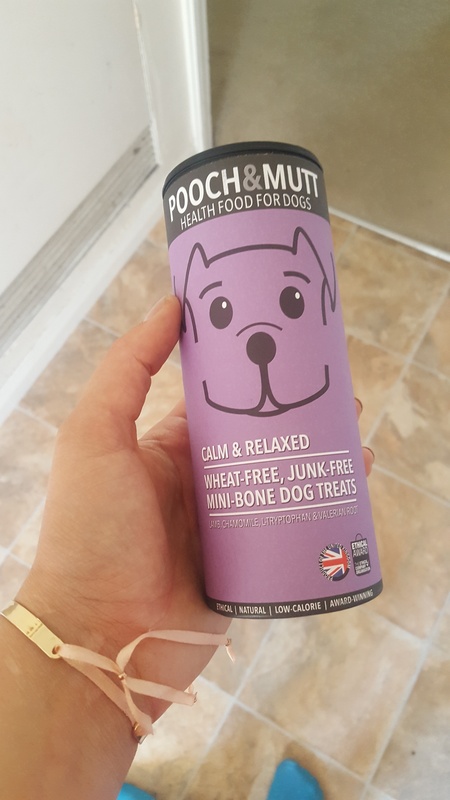 She also got a pressie from my dad, some calm and relaxed treats from Pooch & Mutt – perfect sized training treats and can help calm a nervous dog. 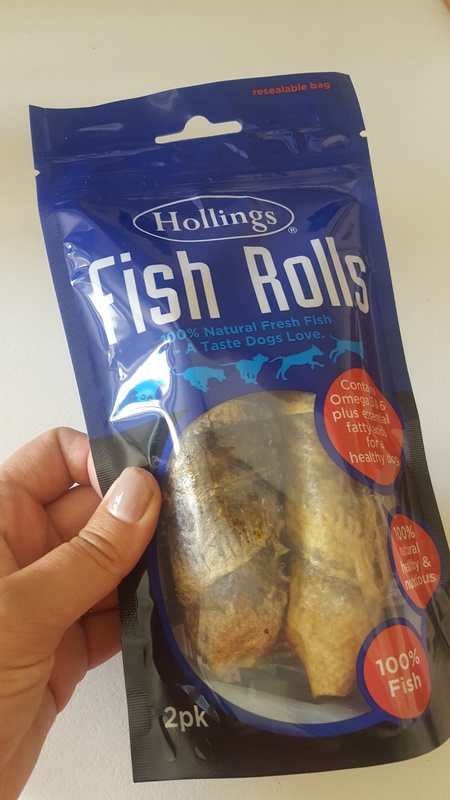 100% natural Hollings fish rolls – they smell VERY fishy so best to let your pooch munch on them outside as the smell can linger on carpets lol . 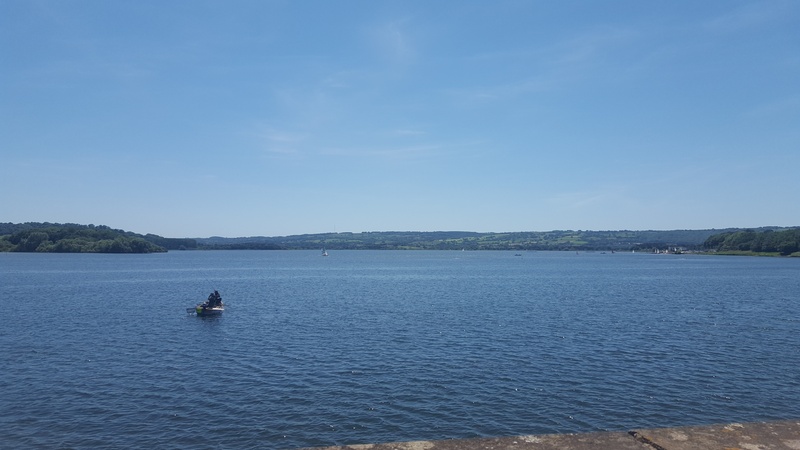 Luna birthday presents were followed by a lovely dog walk in Somerset , starting at the lovely Pelican inn in Chew Magna and finishing at the Chew Valley Lake. 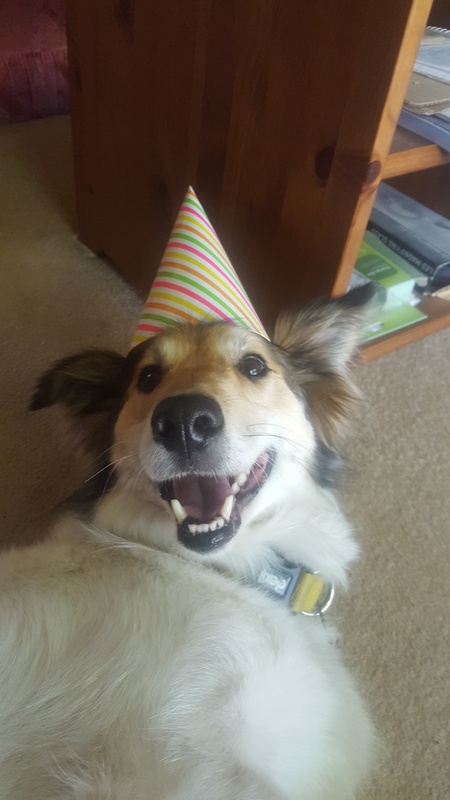 I think she thoroughly enjoyed her birthday and was very much spoilt.